I’ve been thinking a lot about going on holiday lately. If I think “holiday” I also think “what should I take with me to crochet?” and that made me wonder if there are any crochet themed holidays and retreats out there. There are! Here is my list of crochet holidays, cruises, retreats and weekends. Some are expensive, some are very cheap. One is sold out, and others still have space. Whether you are able to go or not, it’s always nice to know that our crocheting and knitting needs can be catered for on a holiday – in fact there are people out there who make it their business to give us a crochet themed holiday! Take your pick and enjoy your holiday. 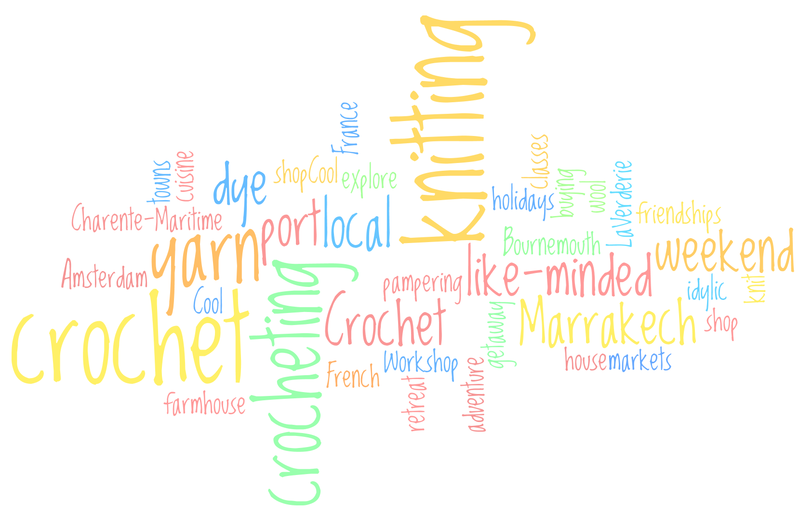 Sue Culligan’s knitting and crochet holidays at her farmhouse La Verderie in Charente-Maritime, France offer an idyllic getaway where like-minded people can get together to crochet and knit, be wined and dined, explore French market towns and enjoy the surrounding vineyards and woodlands. The workshops only accommodate five people over the five nights so it’s lovely and intimate. I’ve been following Sue’s blog for a while now and I’m always amazed at the great time she and her guests have. Sue picks up her guests at airports or trains stations, take them out on day trips and go to cafes for coffee & cake and cook them amazing dishes – that certainly sounds like the kind of thing you do for a friend or family member, not a fee paying guest. Sue seems proud to show off the French villages and markets to the visitors, blogging beautiful photos and giving us a glimpse into her world. Her most recent blog posts shows a guest knitting in the traditional Portuguese way with the yarn around her neck. It must have been fascinating to watch. Sue not only opens her home to knitters and crocheters, she will also teach workshops upon request and guests have access to her extensive library of books and patterns. If you think of cruises you will either think “glamorous/luxury/pampering” or “old-fashioned/nowhere to hide/all you do all day is eat”. To be honest, I fall somewhere in between these two extremes. Craft Cruise® want to change our misconceptions about cruising. They say “The most satisfied of all Craft Cruise® participants are the ones who resisted. The onboard classes, the pampering, the friendships, the overall feeling of togetherness, and the exclusive opportunities to meet other like-minded people in ports around the world have led to expectations being exceeded and the cruise experience being repeated over and over again.” Having a look at the long list of crafts, and various cruise itineraries for each craft, I can see how Craft Cruise® would be able to change your mind about cruising. The destinations, activities and teachers on board are brilliant. The crafts offered include knitting, hand spinning, beading and needle point – they even have plans for brewing and cooking cruises. The last crochet cruise was in a 13-Day Canada & New England cruise in October 2013 with guest speakers Edie Eckman (I love Edie’s crochet!) and Chris Bylsma. Passengers traced the path of American independence, ate fresh New England lobster, watched dyeing demonstrations, visited an Angora goat farm in Saguenay where they saw raw wool processed from goat to sweater, and shopped for yarn. They set off from Montreal to Fort Lauderdale with visits to the ports Quebec, Prince Edward Island, Nova Scotia, Maine and South Carolina. All of this, whilst crocheting and being taught by the likes of Edie and Chris! Unfortunately there will be no more crochet specific cruises. Craft Cruise® will be focusing on knitting cruises, but I don’t think that’s a huge issue. 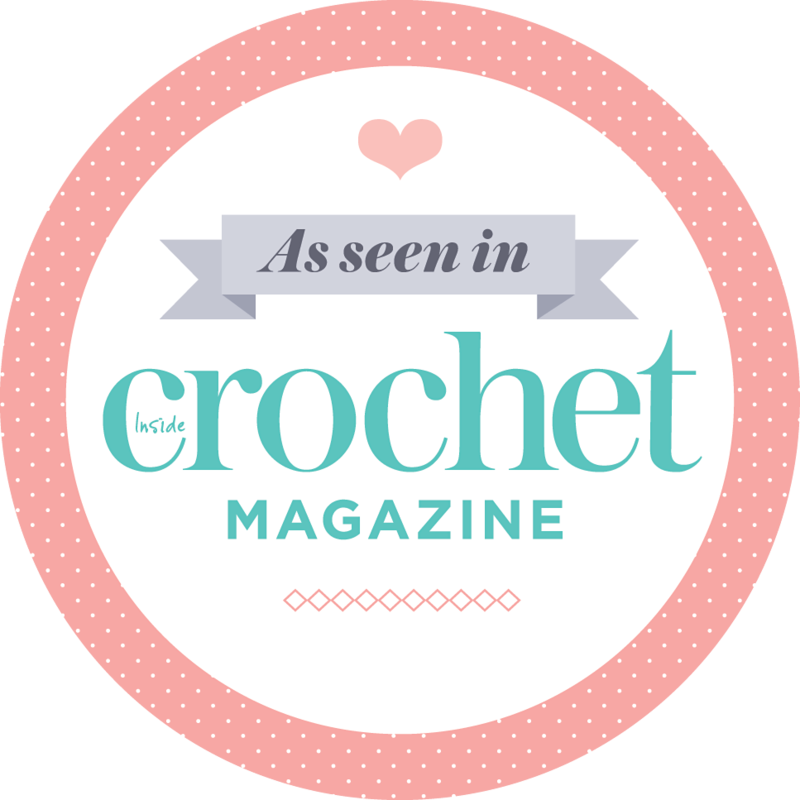 Crocheters and knitters both love yarn and we love mingling with like-minded yarn loving souls, so whether you spend your days on a cruise ship and at ports visiting yarn shops with a crochet hook or a knitting needle in hand, it doesn’t matter – you will enjoy yourself. Craft Cruise® have been hosting knitting themed cruises for over 15 years, so they certainly know their stuff and you’ll be in good hands. See what I mean? Whether you crochet or knit, this is our kind of cruise! Next cruise: No crochet cruise planned, but the next knitting cruise is Musk Ox & Glaciers 25 May – 1 June 2014. There are six more knitting cruises planned for 2014 from July to December. I found out about Ingrid Jansen (of Wood & Wool Stool) and Ank van der Pluijm’s Cool Crochet Workshop in Marrakech through Dottie Angel’s Instagram posts. Dottie’s Instagram photos really, really, really made me want to be there with her in Marrakech buying wool, watching the wool being dyed in the souk (I mean really! How cool is that?!) and crocheting in local cafes and in the open air with Moroccan women. Nevermind cool, Cool Crochet sounds like a crocheting adventure! I’ll be keeping a close eye on Dottie’s blog and of course the Wood & Wool Stool blog for more photos and writings on their six days in Marrakech. Debbie Abrahams and Jane Crowfoot are hosting a knitting and crochet weekend from 7 – 9 November 2014 in Bournemouth. Unfortunately the workshop is fully booked, but I wanted to include it in my list because it just sounds So Marvellous. With the help of Debbie and Jane you will create a pocket style advent calendar using either knitting or crochet or combine the two crafts. The weekend is not only about crochet and knitting – included in the price is a one day health spa pass and admission to visit a museum & art gallery. A Rowan yarn kit and beads by Debbie are also included. I can see why this weekend has sold out! If you can’t go on a cruise, fly to Marrakech or visit France, you can always hold a knitting and crochet retreat at your house like Kim Werker did. 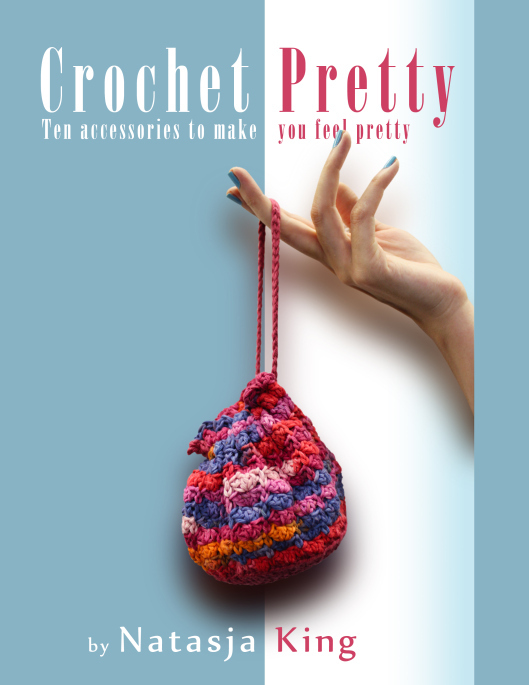 Get your crafting pals together, eat loads of cake & crisps, order a take-away, leave the dishes to the next morning, drink wine, oh, and do a bit of crochet. Do it all again the next morning, replacing Chinese take-away with a Hearty Breakfast. It’s like a weekly crochet session at the local pub, stretched over 24 hours within the comfort of your own home. Lovely! *I have not been asked, or paid, by any of the organisers to write this post. Only the Craft Cruise® write-up contain affiliate links. Sounds like bliss to me. All of them!!! One day….. I agree Lucie, pure bliss. dit klink alles so heerlik verleidelik!